Sketchdeck isn’t the only alternative to hiring a designer in-house or using an agency. Several platform-driven services are filling the need for high-quality, cost-effective, and scalable design. 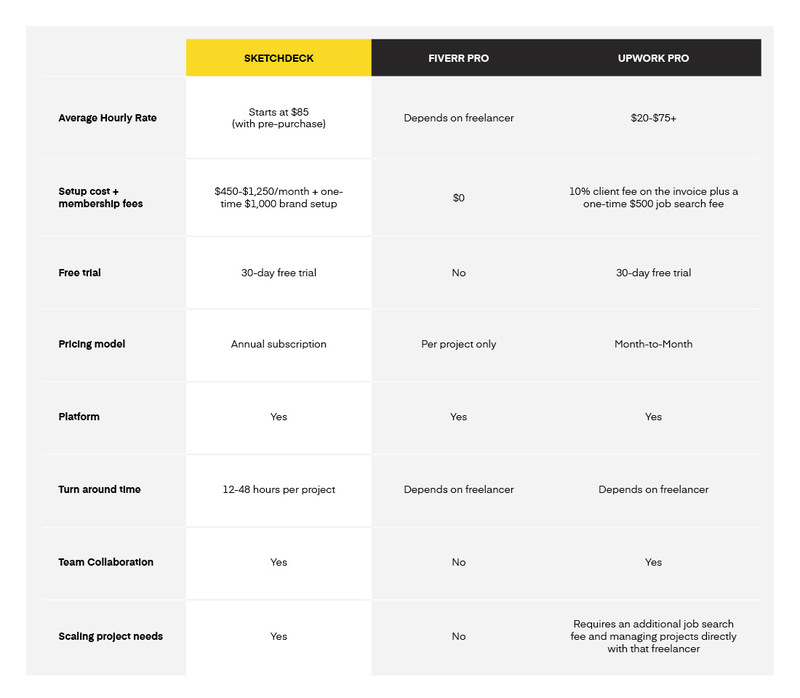 Let’s take an in-depth look at the differences between three services: Sketchdeck, Fiverr Pro, and Upwork Pro so you can decide which is the best fit for you and your organization’s design needs. 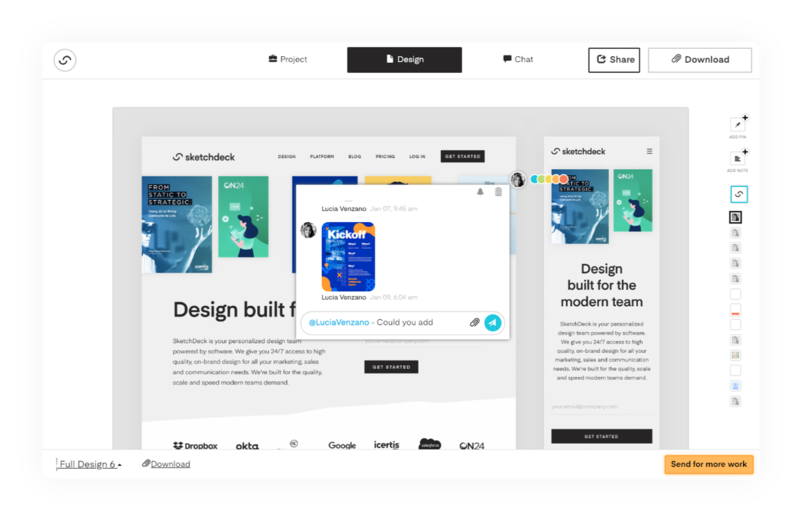 Sketchdeck offers memberships that can be billed monthly or annually. While Fiverr Pro is billed on a per-project basis. Upwork Pro charges a percentage client fee on top of the hourly rate you pay your designer(s). Sketchdeck charges by the project with three membership tiers. And projects are priced in credits. There is also a one-time $1,000 fee for client onboarding. The first option allows up to 25 people within one team access the platform to request design projects. 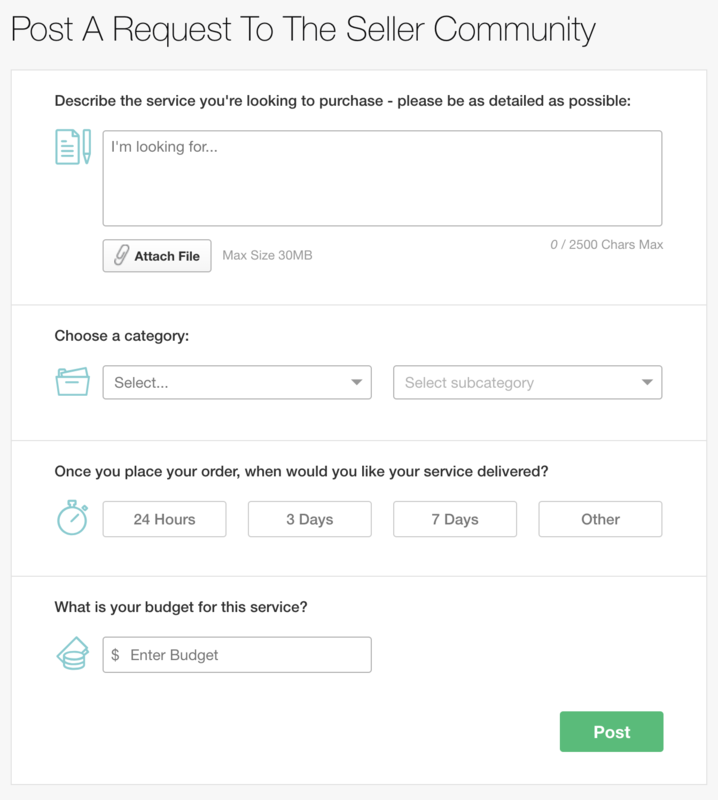 The “Business” option offers up to three teams, 100 users, and additional features such as express service. The hourly rate also decreases by almost 17%. Finally, for larger companies, there is an enterprise option with unlimited users and teams. Fiverr Pro’s pricing varies considerably in its marketplace. What you pay depends on the service and the freelancer offering up their work. Designers on Fiverr Pro can also offer packages that range in the amount of quality or time they will put into a project as well as turn around time. 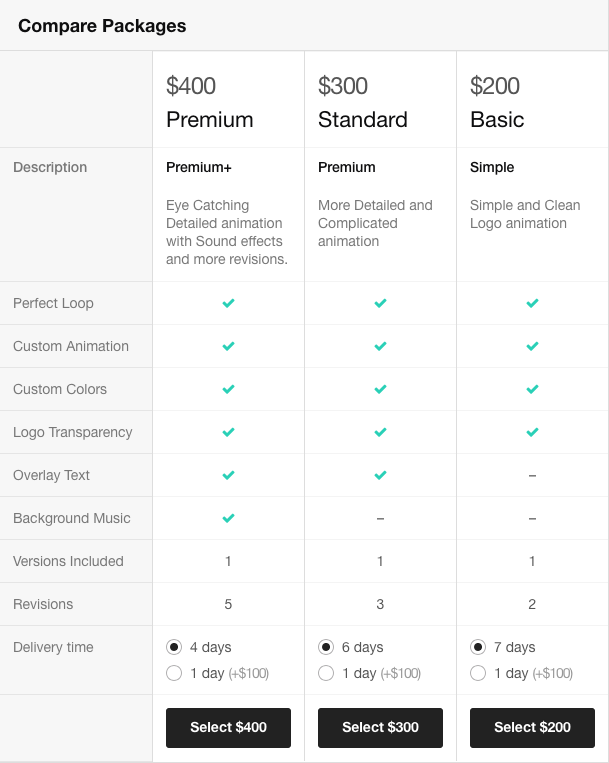 Upwork Pro’s pricing is different than both Sketchdeck and Fiverr Pro. Upwork charges a 10% invoice fee. For instance, if a project costs $1,000 in hourly fees from the designer, the total cost would be $1,100, with $100 being the invoice fee. There is also a one-time job search fee of $500. The job search can be used to find more than one designer. Sketchdeck and Upwork Pro require a new company to fill out a form and talk with someone to get started. 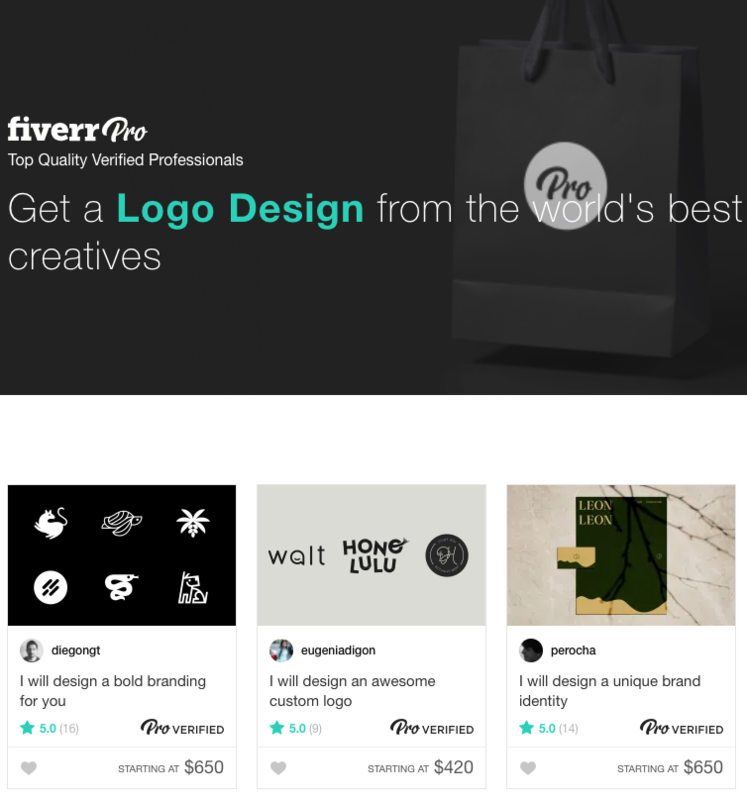 Fiverr Pro is more “do it yourself” and enables you to request projects on your own. Sketchdeck offers a 30-day free trial membership. During this time, you’ll have access to the platform and an account manager in order to work together on an initial proof-of-concept project. After the initial project, you and your team will be set up with the platform and have access to begin requesting design projects. Fiverr Pro is self-serve and connects you directly with freelancers through their platform. Similar to the regular Fiverr marketplace but with design professionals that were approved by the platform and what they describe as “VIP” customer service. While Upwork Pro does not have a free trial, Upwork does allow non-payment until they are satisfied with the work. Upwork is a matching service at its core, but Upwork Pro is slightly different than Upwork in the following ways: a) professionals are pre-vetted, b) you are assigned an account manager and c) the platform includes collaboration tools. To get set up, you go through a 5-step matching process to find qualified freelancers for your project. Only screenshots for the Sketchdeck and Fiverr Pro platform are included in this section. The Upwork Pro sign up process requires an account manager to get set up with their platform and therefore, we did not have access to include screenshots. Stetchdeck’s platform presents a menu of project options to get started. From there, once a form is completed the designer begins work on that project. The Design section allows feedback on revisions. There is also a chat communication feature. Inside your dashboard, you’ll also be able to view all past and current projects. 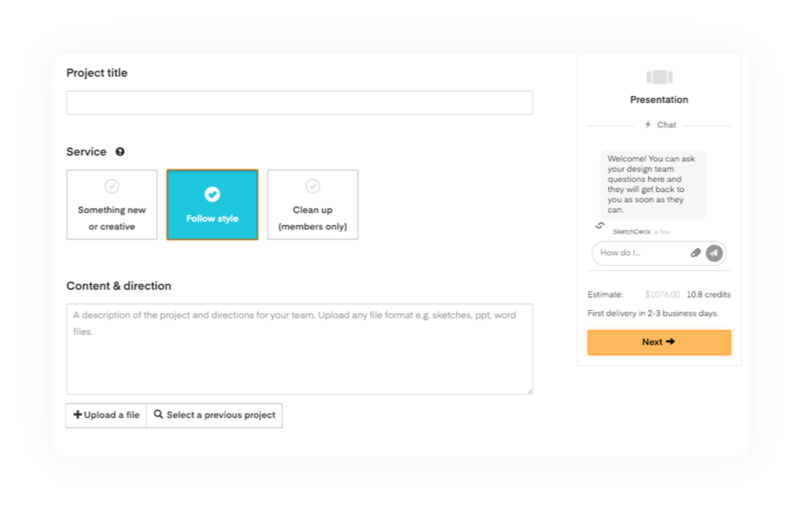 An activity list shows whether a particular project is ready for feedback. Once logged in, you can order, receive, and view all projects through the platform. 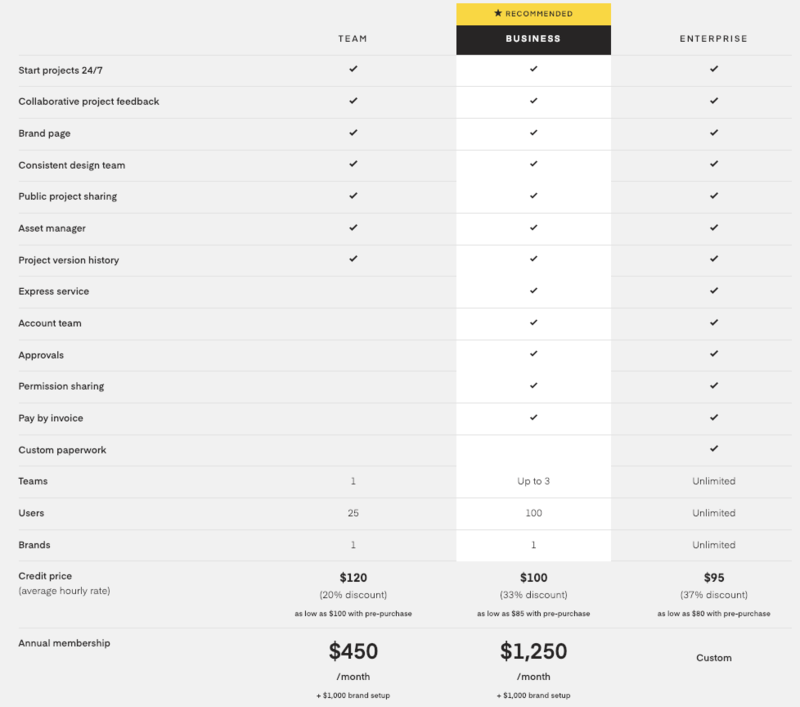 The main differences between Fiverr Pro and the other platforms compared here are the lack of collaboration for teams. Upwork Pro’s website highlights three things about their platform. First, they offer collaboration tools with your designer(s) such as real-time messaging, file sharing, video conferencing and team permission features. Tracking is also mentioned. Specifically, view screenshots of billed time, check hours logged, and review work milestones. The last platform feature they highlight is their Upwork Payment Protection, where they state you only pay for work you authorize. Which Solution Should You Choose for Enterprise Marketing Design? 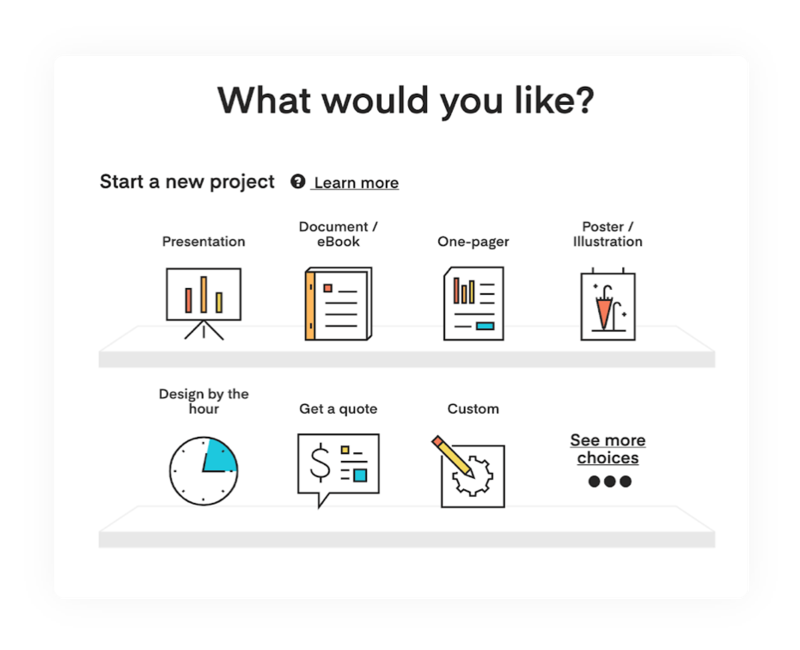 If requesting resources for marketing design is a challenge or your design needs throughout your organization are not consistent, such as a one-off project, than Upwork Pro or Fiverr Pro could be a good option. 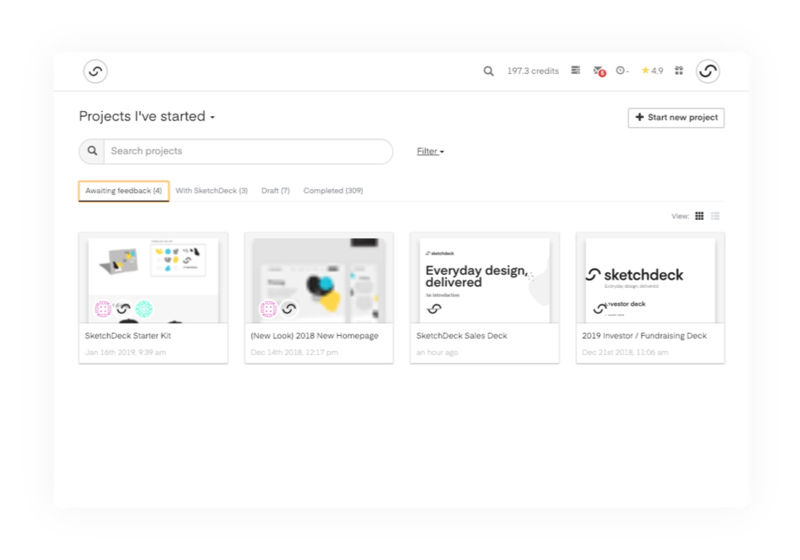 If you’re looking for quality design with some frequency and scalability for your marketing department and throughout your organization, Sketchdeck is a great option. Ready to see what Sketchdeck can do for your design? Schedule a call with a design specialist today.